During SALT16, we sent a film crew to capture behind the scenes, backstage content on how our production and creative team pulled off some of the amazing stunts they accomplished during the conference. 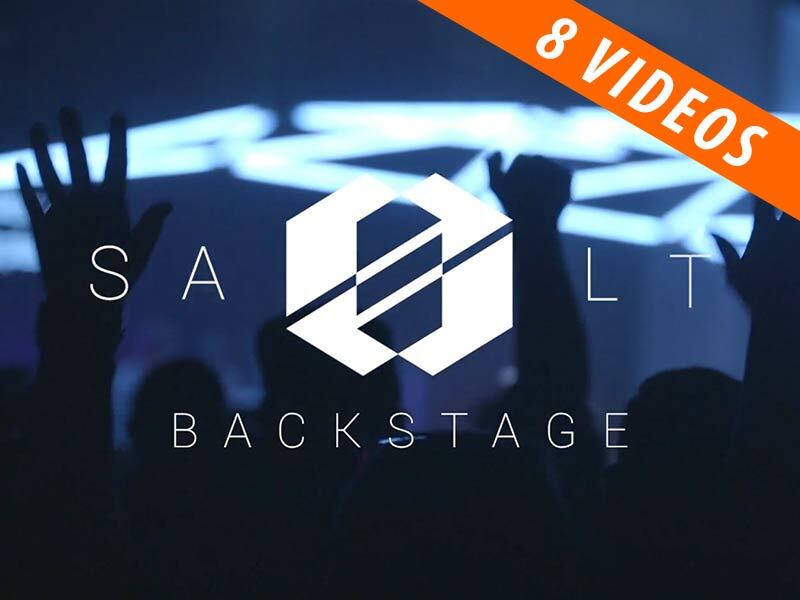 In this free resource, you’ll get to go backstage with Nick Rivero, SALT Experience Director, on all things tech and creativity. Learn about where the idea for Kinetic Lighting came from, and what the tech specs were of the computer that ran the video mapping on the side walls. Curious how the interactive touch wall in the SALT store worked? We’ll explain it all in the 8 part series called SALT Backstage. Join our community by filling out the form to the right, and we’ll send you all 8 episodes right now!